Blued. Squeeze safety on back strap. Chequered grips of plastic. Ejection port on right side. Notch and blade type sights. Textured strip on top of slide. Magazine catch located on underside of grip. Exposed extractor. The grips are chequered bearing the FN monogram. 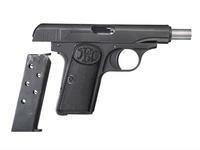 This is a straight blowback striker fired pistol. The mainspring is housed around the barrel. 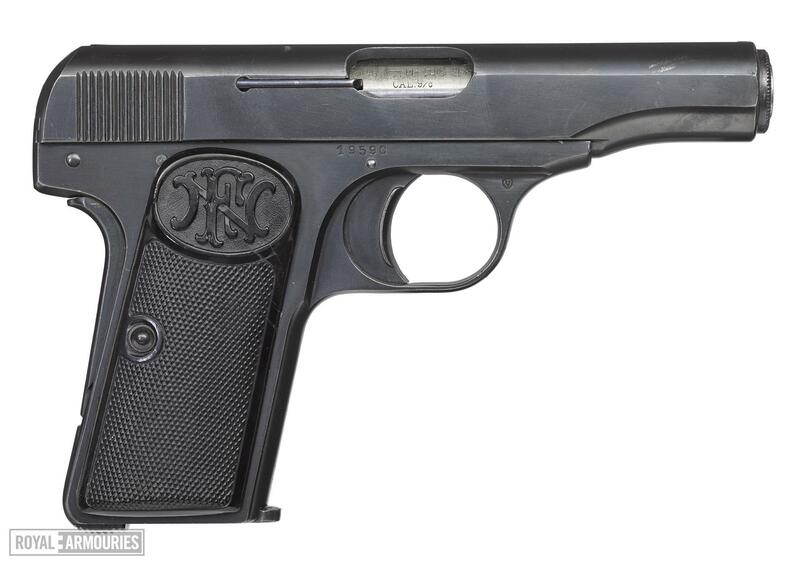 Liege Perron (View stamp and inspectors mark for parabellum pistols). Barrel and left side of frame and slide. Lion over PV (Nitro proof for rifled barrel and parabellum pistols) Left side of slide and barrel. Small in size, this pistol was easily concealed. 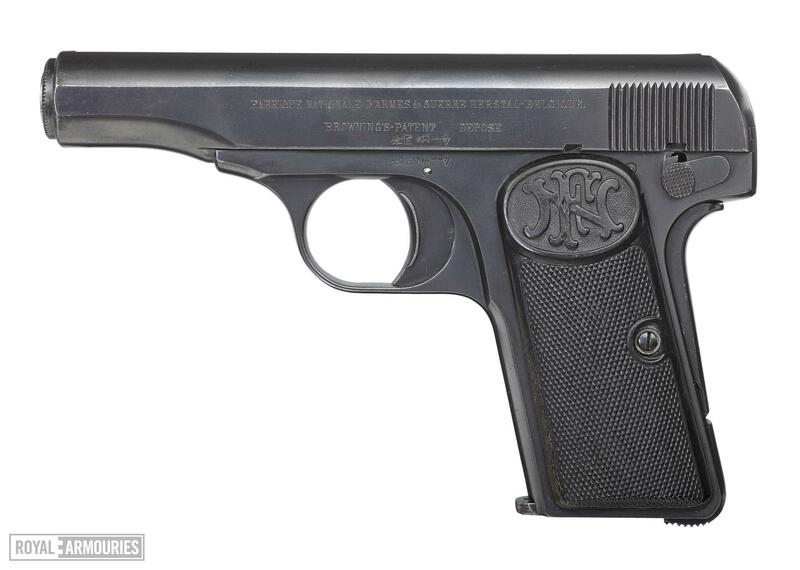 This is the same model of pistols used in the assasination of Archduke Franz Ferdinand in 1914, by Gavrilo Princip. The serial number, 19590, makes this the 516th pistol produced after the murder weapon. Produced for civilian sale in both .32 and .380 ACP calibres, the more powerful .380 also saw use with the Belgian military.